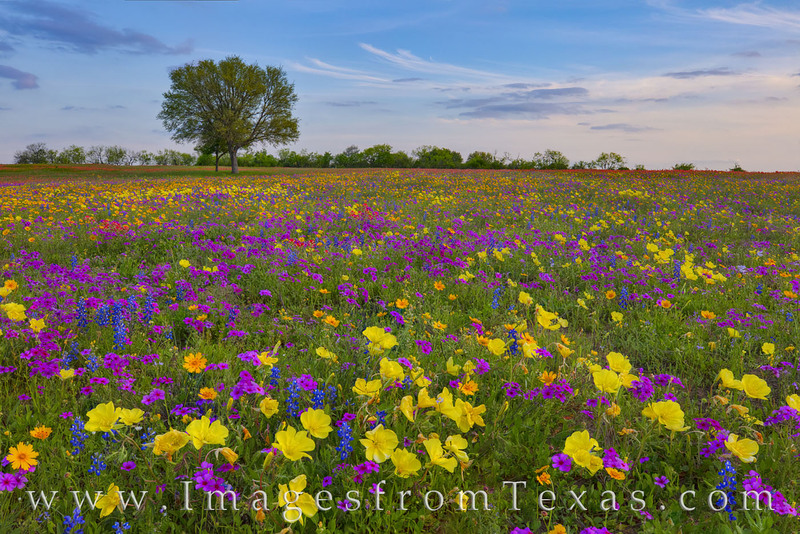 Texas wildflowers of gold, purple, blue, and red, fill a pasture east of San Antonio on a cool March evening. This spring explosion of color was one of the better blooms in many years, full of bluebonnets, Missouri primrose, phlox, coreopsis, and Indian paintbrush. The clouds added beauty in the distance as the late afternoon transitioned into evening. This photograph was taken in New Berlin on private land with permission from the owner. Photo © copyright by Rob Greebon.